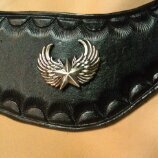 A pair of Boot Chaps are made in a universal design to fit nearly any size and style of boot. 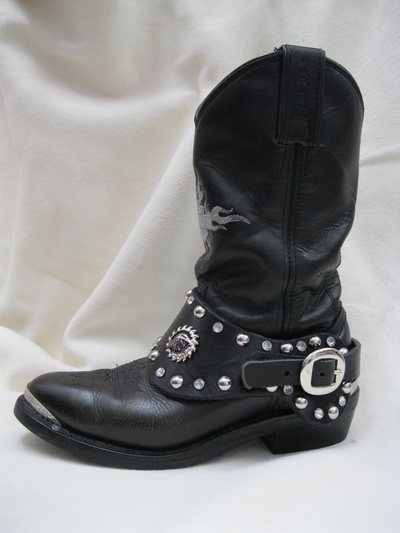 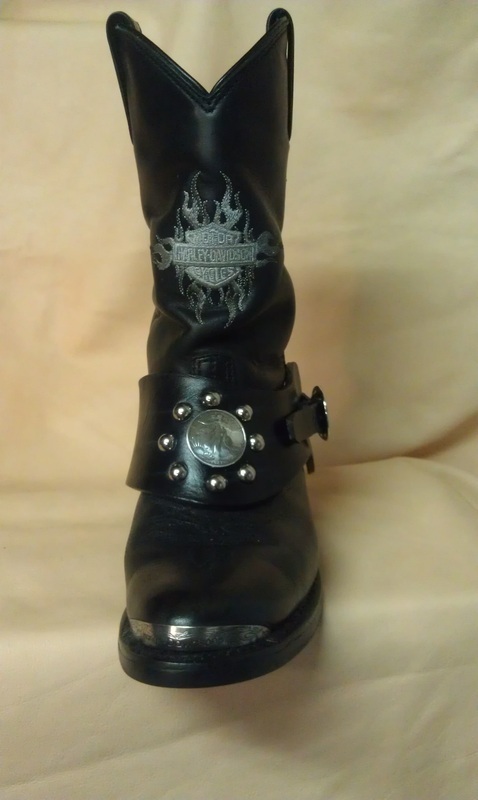 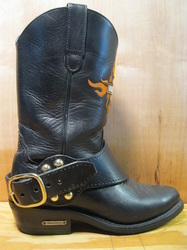 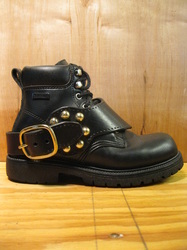 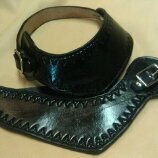 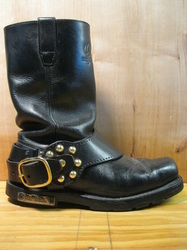 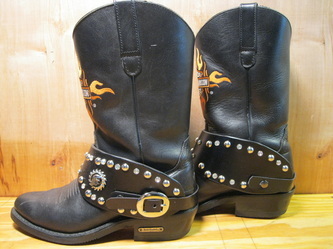 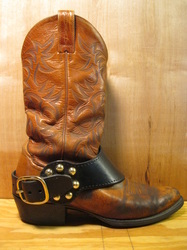 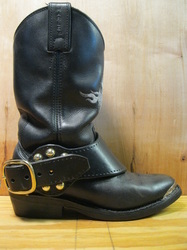 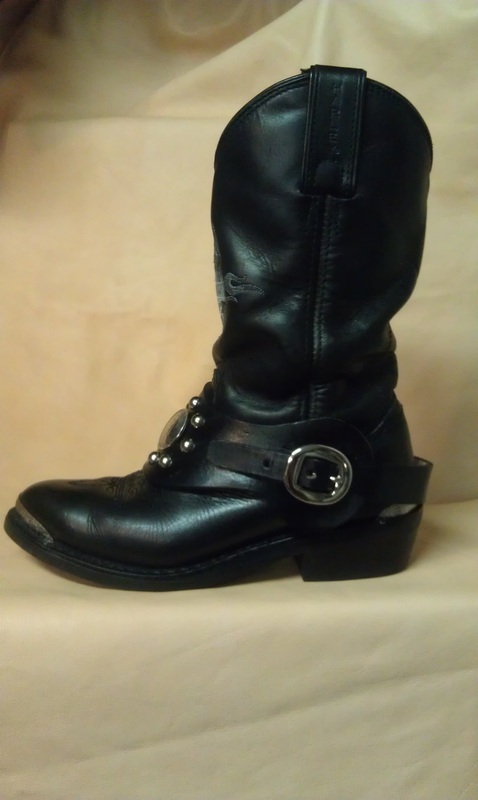 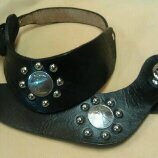 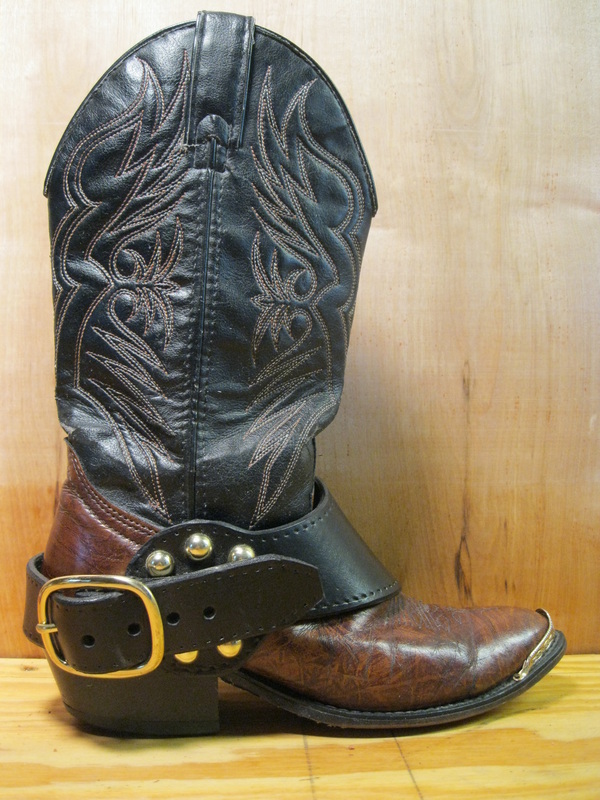 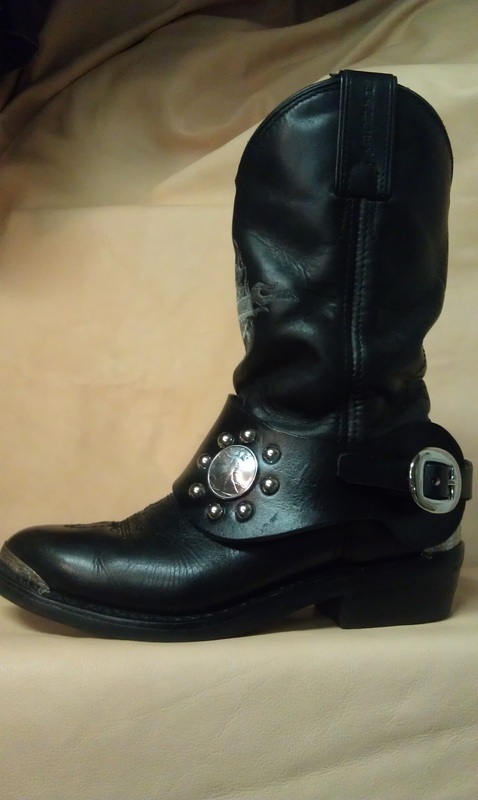 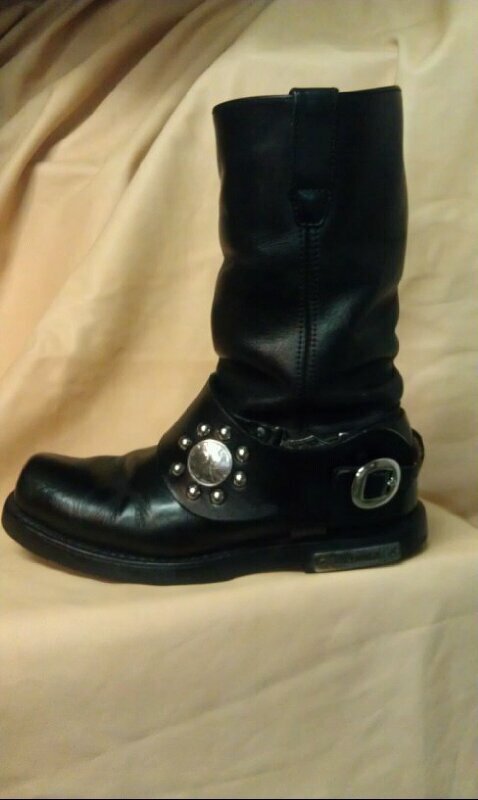 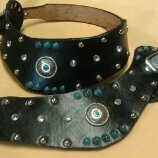 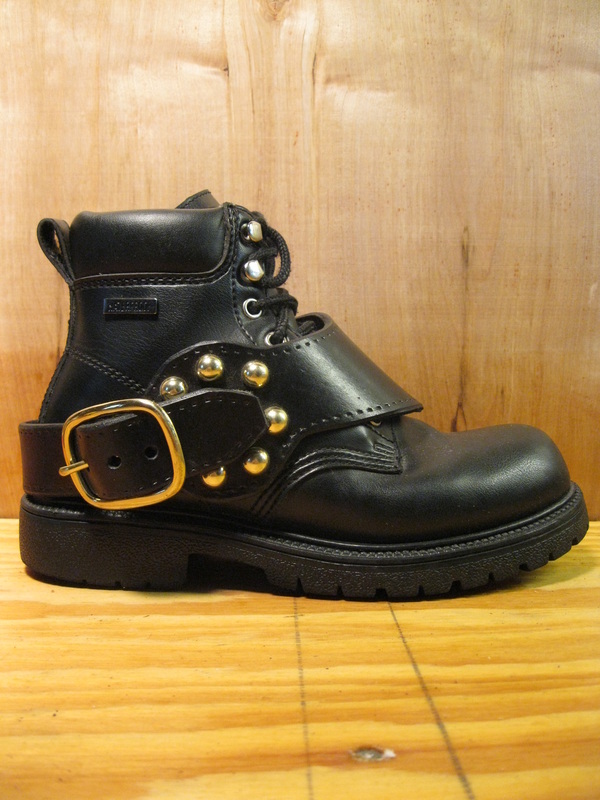 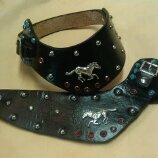 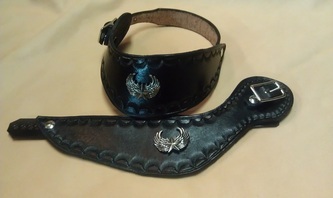 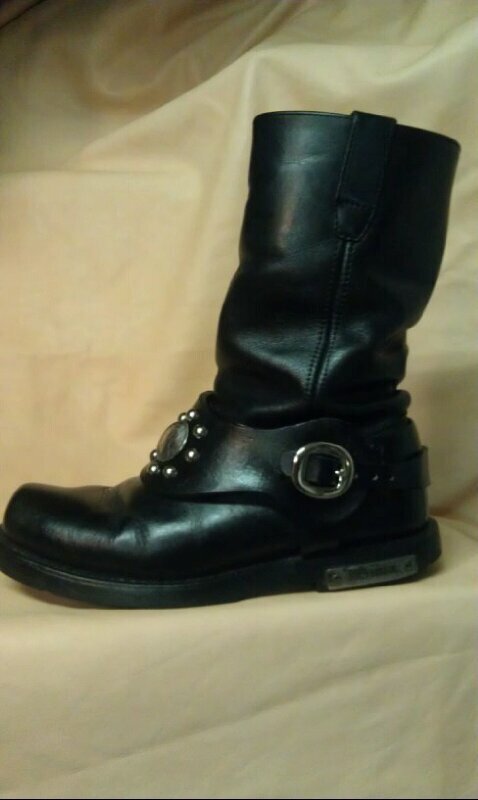 Adjustable chain underneath keeps chaps in place while your "boot scootin"! 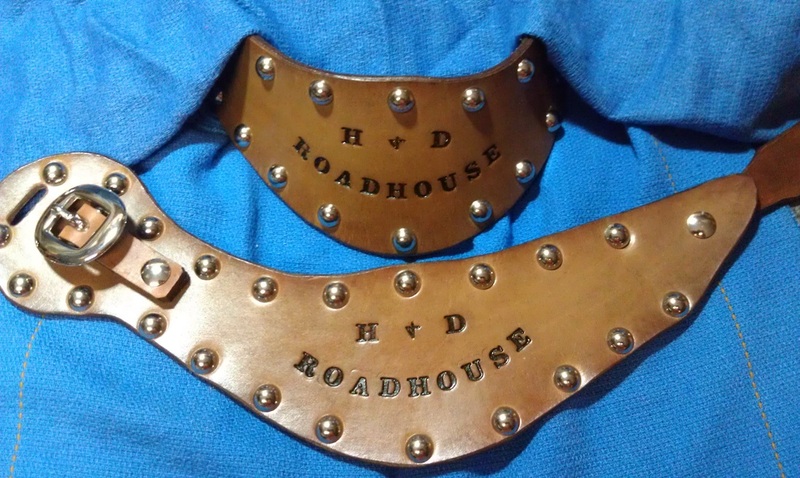 ﻿Come and meet Harry and Debbie at H & D ROADHOUSE ~ ROUTE 520, MERRITT ISLAND, FL.